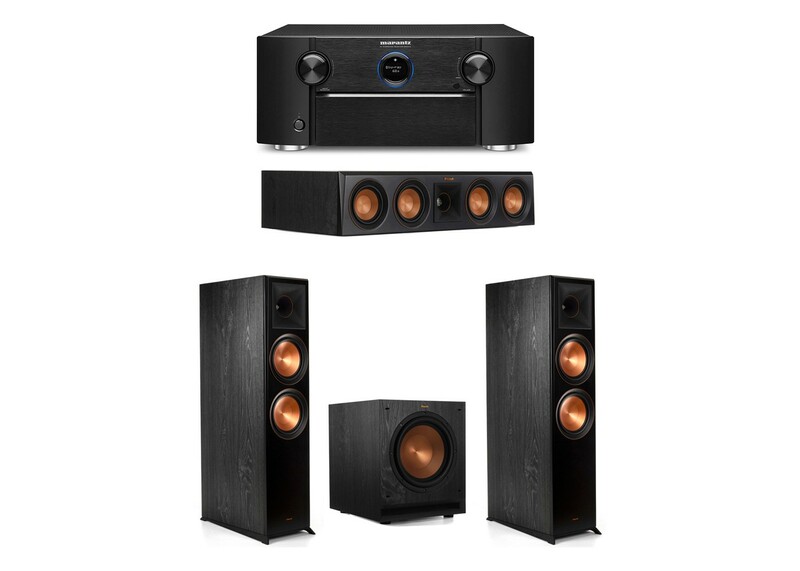 Klipsch RP-404C center channel speaker - The Klipsch Reference Premiere RP-404C center channel speaker delivers accurate-to-live acoustics that take your movies and music to a whole new level. Quad 4-inch copper-spun Cerametallic woofers offer both incredible sound and style. Klipsch SPL-100 subwoofer - Each Leveraging a 10-inch spun copper Cerametallic woofer and high-efficiency Class-D amplifier, The Klipsch SPL-100 subwoofer delivers best-in-class low frequency output.